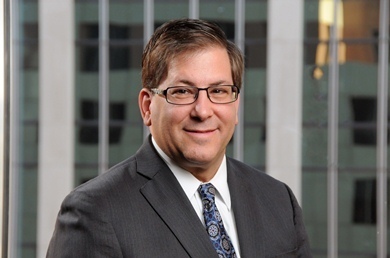 Brad N. Mondschein's experience in the areas of regulated industries, telecommunications and the emerging legal issues relating to green energy, green building, fuel cells and alternative energy products has put him in the forefront of these areas of practice. He represents project developers, alternative energy manufacturers; component manufacturers; energy service companies; end-users, landlords, tenants and aggregators in corporate transactions, procurement, installation and maintenance negotiations, joint venture agreements and on regulatory and legislative issues. In addition, Brad represents and has experience with national and local telecommunications companies, wireless companies, cable companies, satellite communication providers, utility companies and Internet service providers before the Federal Communications Commission, the Connecticut Department of Public Utility Control, and the Connecticut Siting Council in legislative matters and in regulated corporate transactions. He also represents these various companies on litigation matters and administrative appeals in both the federal and state courts. He currently serves as executive director and general counsel to the Connecticut Internet Service Providers Association. Beyond serving regulated entities, Brad regularly represents corporate clients in a variety of technology areas related to the regulated utility industry. He serves financial institutions, real estate companies and other entities negotiating electric supply contracts, gas supply contracts, and alternative energy installations. He also represents land owners negotiating cell tower agreements on new and existing buildings. He assists companies in negotiating telecommunication contracts, licensing agreements, hosting ad web design contracts, technology procurement agreements, and a broad variety of other technology contracts. Brad also represents developers, retailers, tenants and consultants in the area of Green building and environmental design. His representation includes energy procurement, including distributed generation, renewable energy credit trading, Green initiatives, carbon trading and carbon emissions and supply chain issues. The author of numerous articles and publications pertaining to alternative energy usage, Brad recently co-authored “Regulation of Power Generated by Stationary Fuel Cells in the United States,” which was published in the Tulane Environmental Law Review. Brad participates in seminars and conferences on various topics including green energy, green building, fuel cells and alternative energy, emerging markets, utility issues, telecommunications and technology. Provided general corporate and litigation advice to various technology businesses, manufacturing businesses and construction companies, represented property developers, owners, landlords, tenants, and non profit organizations, in the procurement, financing and installation of alternative energy and distributed generation systems.